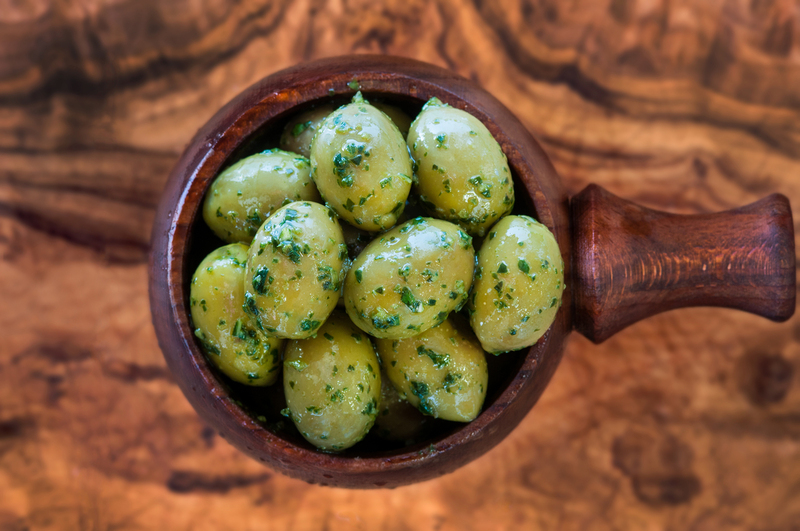 The large Chalkidiki Olives are from Greece and we marinate them with fresh basil and garlic, invoking thoughts of pesto and being on holiday. Perfection. Oil. (Warning: Olives contain stones).